A Fiendish creature is born out of the Ancient land of Camalore. 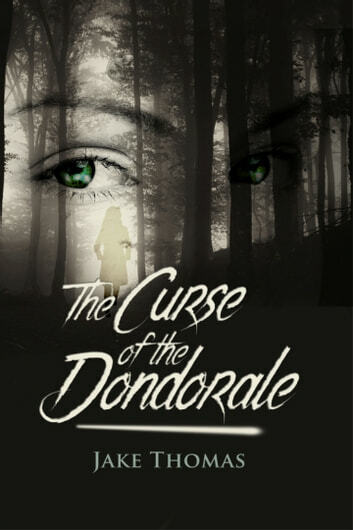 Her name is Dondorale. Slipping through the killing hands of a farmer as an infant, the nasty creature was rescued by a powerful Enchantress and raised as a lethal warrior with an insatiable lust for battle and blood. Entering the fighting games, Dondorale’s name builds in reputation. But there is a much bigger destiny here for Dondorale then just fighting games and blood sport; and after many years of absence, an old familiar face returns in time to show her the path. Jake Thomas was born and raised in Albermarle, North Carolina. Homeschooled most of his life, he took up writing at a young age. A majority of his life was working retail; he would keep his writing as a hobby on the side. It was later in life, however, that he would embrace his profession as a writer at the age of twenty-nine. Raised in a Christian family, Jake devoted his life to Christ. Growing up, his joy was to write and study the Middle Ages. Then something extraordinary took place. Jake encountered an incredible revelation: a Medieval world full of life came to him through a vision. With an amazing gift to create things at thought already, he began to write down what he saw. Over the next few years, Jake would devote himself to building this world. In his mind it was obligatory this story had to be written. What he encountered had become his life. It was apparent this was God’s chosen path for him. For four years, Jake has fought tooth and nail to create this world, which began as nothing more than a thought. Nowadays Jake is able to divide his work from his writing. However, even now, the world of Camalore and beyond is very much alive in Jake’s mind. It has become his life’s devotion to building what he once encountered long ago. Moreover, he hopes all of you enjoy this journey as much as he has.